Membership – The Cliftondale Community Club is a non-political, civic organization formed to enrich and encourage development of the Cliftondale community through non-profit service. 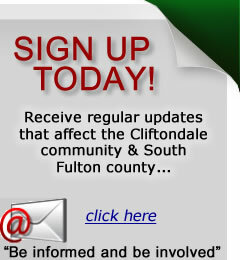 Become a Cliftondale Community Club Member Today! Our membership year is July 1 – June 30 and annual dues are only $25 per family or $15 for anyone 65 or older (Senior discount). 2. If you would like to bring your membership dues to the monthly meeting, please see the Membership Committee: Tommie Stegall or Julie Wachsler. 3. Or if you prefer, you can use our secure online membership form below and pay via PayPal. Note: please press the above ‘SEND” button first & then use the below links for payment.